Barcelona has built a reputation as one of the most-popular travel destinations in the world. Perhaps best known for its thriving nightlife, Barcelona attracts thousands of visitors every year. If you’re considering taking your next trip to Barcelona, it’s normal to have several questions. We’ve compiled a list of the most important questions you should be asking and provided answers you can trust. We’ll examine each question in detail so that you’re equipped with all the information you need. Is Barcelona a Party City? Chances are, if you’ve heard of Barcelona, you’ve also heard that it’s a party city. Ultimately, it may come down to who you ask. It can’t be denied that Barcelona has one of the hottest nightlife scenes in all of Europe, but is this enough to classify it as a party city? While there are several great nightclubs in Barcelona, the city offers much more than that. From famed historical centers and cathedrals to exciting adult clubs, Barcelona offers a wide variety of adult and family-friendly entertainment. Namely, this means that there are several reasons you should take a trip to Barcelona. 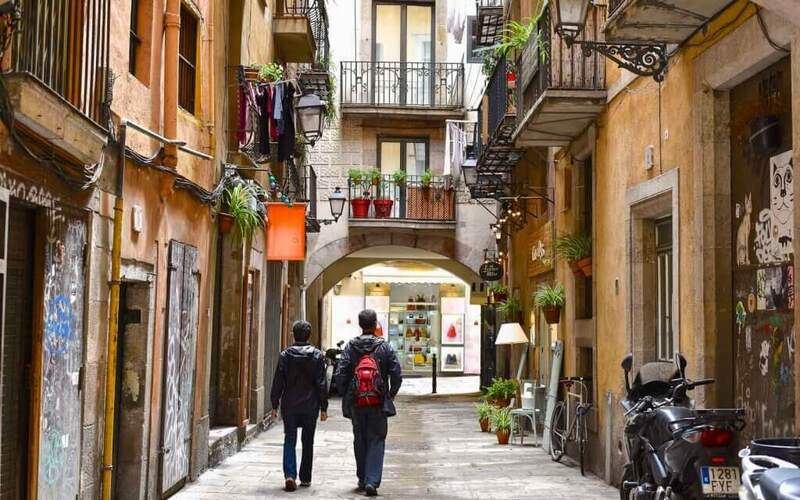 Whether you’re alone and you and your friends are looking to blow off steam in some of the world’s most-thrilling nightclubs, or if you’re looking for family-friendly attractions to visit with your wife and children, Barcelona has something for you. Those looking to see some of the hottest action in Barcelona can check out Las Ramblas. This thriving district has bustling urban shopping centers as well as some of the city’s best adult venues. Because it is, in many ways, a party city by night, it’s important to note that clubs in the area throw some of the best parties in Europe, Barcelona nightlife is something you don’t want to miss. Great for stag party in Barcelona and other adult group outings, the city should be at the top of your list for any type of party destinations. We’re sure you’ll never regret going out for a drink and fun at some of the city’s most popular adult and strip joints. Or, if you’re looking for a family-friendly location, the Sagrada Familia and Park Guell offer hours of fun for everyone. 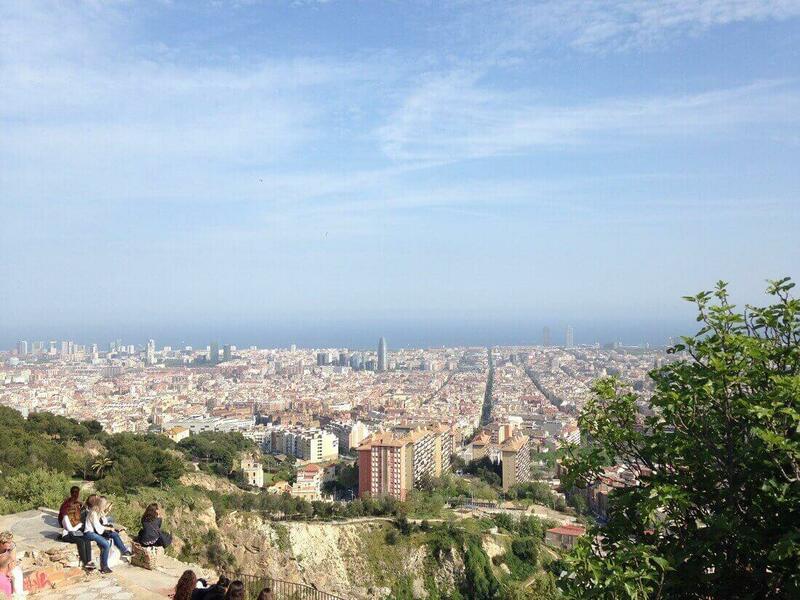 The bottom line is that Barcelona is a great place to visit no matter the reason. Whatever you’re looking for, the city certainly has something to offer. Check out things to do in Barcelona here. How Much Is a Drink in Barcelona? 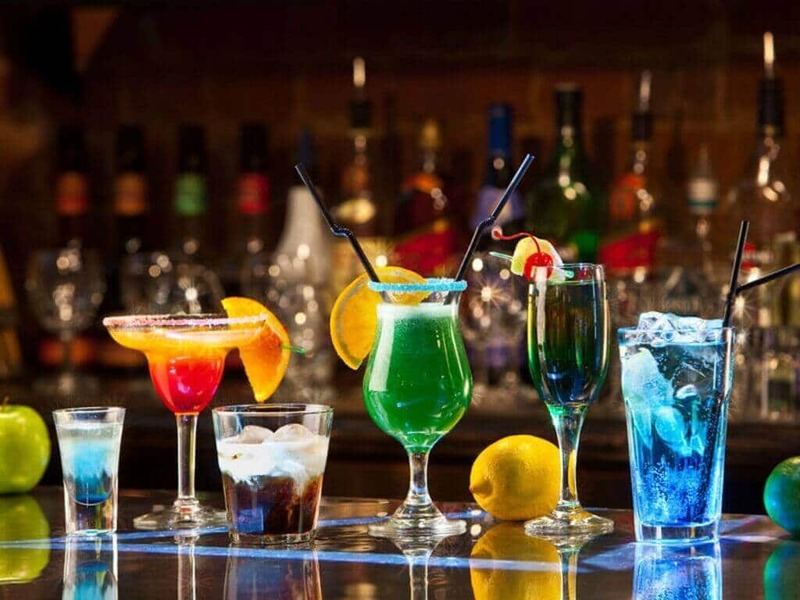 If you’re looking for a more high-end experience, you can try some of the various drinks at the several great nightclubs in the city while you experience the nightlife in Barcelona. These clubs offer a step up from the beer you’ll find at local bars throughout the city—not to mention they offer some of the best song and dance in all of Europe. Best of all, perhaps, is that many of these hot clubs offer free drinks with the cost of a ticket. That’s right—usually, you’ll be able to get at least one free drink with your purchase of an entrance ticket. The catch, however, is that these entrance prices can depend on where you go. Sala Razzmatazz, one of the most popular night clubs in the entire city, for instance, offers a free drink with the purchase of an €8 – €10 entrance ticket. As you can see, most nightclubs offer free drinks with the purchase of a €10-€20 entrance ticket. Note, however, you should expect to pay more if you buy a drink at the bar. Those looking for bottle service may pay up to €150-€200. Drinks at the bar will also run you more than the price of the entrance ticket, so even for bars that allow free guest lists, an entrance ticket is likely a wise investment. At some of the more famous night clubs, you can expect to spend up to €10 for a drink. How much is a beer in Barcelona? Barcelona offers a wide variety of drink options. From cheap local beers to high-end artisan-al wines, tourists are sure to find great drinks that will fit their budget. As you can tell, the cost of a drink in Barcelona will depend on where you go. Several local bars, for instance, provide cheap beers that taste good and make for a good time. At these bars, you can expect to spend up to €1.5 for a bottle of beer. Of course, this price will depend on the size of the drink that you’re buying. Many smaller bottles of beer can be purchased for only €1.0. Understanding how much a beer will cost in Barcelona requires that you understand different sizes. Because many of the cheapest beers are found at local bars, you may need to understand some Spanish terminology to order the right size. As noted, the smaller-sized bottles here can be as cheap as one euro. For this reason, local bars are a popular favorite of those visiting Barcelona. Because great cheap beer is always on tap, tourists can have a truly authentic experience. For those on a budget, local beers offer a more cost-effective option. Without entrance fees or high drink prices, bars provide a great venue for those looking to have a good time without breaking their wallets. Though they don’t offer as much in the way of entertainment, these bars do provide great alcohol for those looking to party. And because it’s so cheap, you’ll be glad to spend a few hours enjoying the great booze. If you’re looking to come to Barcelona and have a good time, these incredibly-cheap bars offer some of the best value in Europe! Where Should I Stay for Barcelona Nightlife? If you’re looking to experience the best that Barcelona’s nightlife has to offer, let us help you out. Famed nightlife in Barcelona can be found throughout the city, but there are certain districts that are better for those looking to have a good time. 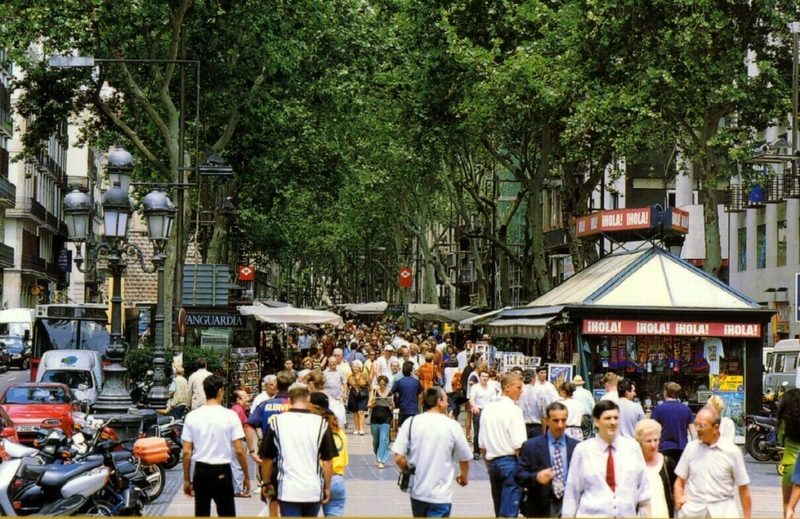 Las Ramblas is one of the most famous districts in all of Barcelona. Though not entirely a red-light district, Las Ramblas has earned the reputation as being one of the most-popular nightlife destinations in the city for those in search of a bachelor party in Barcelona and all those who are party people in general. Las Ramblas boasts a wide selection of tourist and local shopping spots by day and some of the city’s best nightclubs at night. If you’re looking to get the most out of your nightclub experience, consider booking a hotel in Las Ramblas. From Side Car to Jamboree, Las Ramblas is home to some of the most famous clubs in the city. 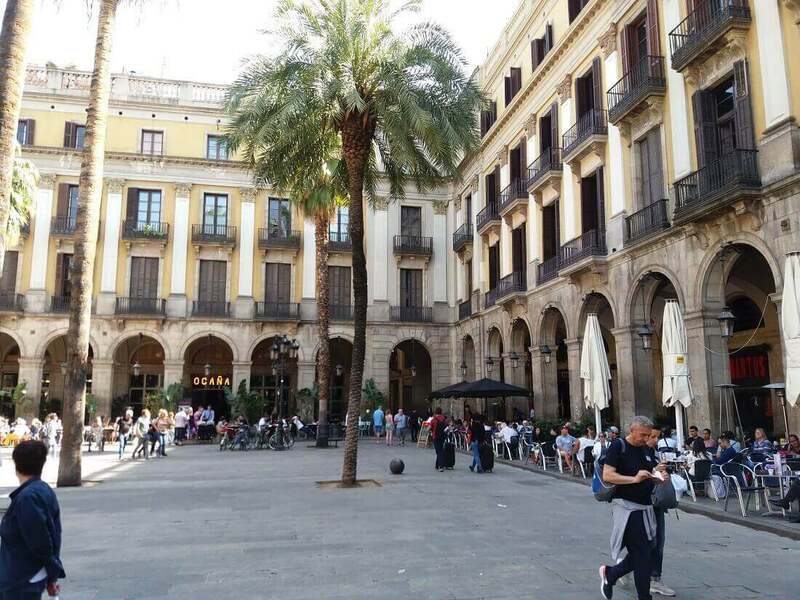 And from Grand Hotel Central to Hotel Espana Ramblas, Las Ramblas features some of the best hotels in the entire city. Home to the famed Domino Bar and several other clubs, El Raval has become a popular nightlife destination for those looking to visit Barcelona. This district, though not as popular as Las Ramblas, is famous for having some of the top bars and clubs in the city. Though once known for having a shady reputation like being the red light district of Barcelona, El Raval has become one of the city’s leading areas for those looking to have a good time. The good news is that it’s got some of the safest and cheapest accommodations in the city. From Barcelo Raval to Hosteria Grau, El Raval offers great accommodations to those looking to stay in the middle of some of the city’s best action. What Time Do Clubs Close in Barcelona? If you’re looking somewhere to party all night, nightlife Barcelona is the place to be. With some of the hottest clubs that stay open basically all night, Barcelona is home to the wildest parties in Europe. So just how late do these clubs stay open? 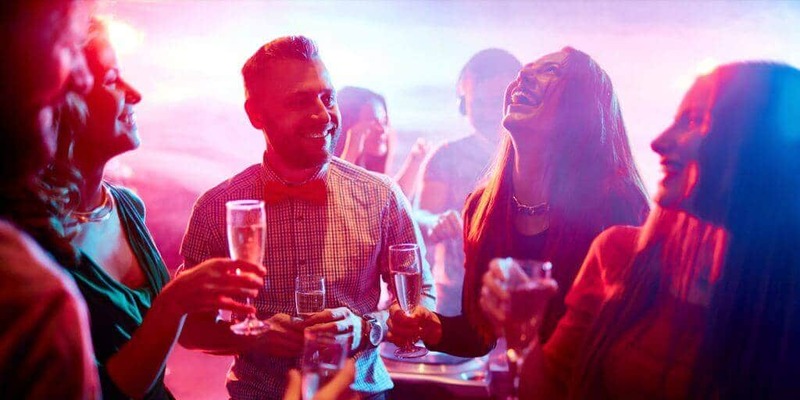 While there are some great clubs that will close early, many won’t even open until midnight or later—meaning that you can go out and have fun all night long. Most of the clubs open after the bars are closing. Most of them stay open until the dawn. Let’s take a look at some of the most popular venues and best clubs in Barcelona. In doing so, we’ll list their hours of operation so that you can know how to better plan your next trip. Club Pacha Barcelona is great in that it’s open every day of the week. Depending on when you want to go, however, you can expect the hours of operation to differ. Currently, Pacha Barcelona is open from 11:45 PM – 5:00 AM Sunday through Thursday, and from 11:45 PM to 6:00 AM Friday and Saturday. As you can see, this great club offers all night dancing and fun. Even better, it’s free from those who enter before 2:00 AM. La Terrazza is one of the most popular clubs in the city—but it’s only open three days a week, and only for the summer season. This great club is open only Thursday, Friday, and Saturday, and guests are encouraged to visit their official site for hours of operation. Another great club that offers all-night dancing, Sala Apolo is open from 8:00 PM – 5:00 AM Monday-Thursday, 7:00 PM – 6:00 AM Friday through Saturday, and 9:00 PM – 5:00 AM on Sunday. This popular club has a schedule that’s a bit easier to remember. Shoko is currently open 10:00 AM – 6:00 AM on Mondays and 10:00 – 12:00 Tuesday through Sunday. One of the hottest clubs in the city, Moog is open 11:30 PM to 5:00 AM every day of the week. You can check out some of the Barcelona stag do clubs here. What Do People Wear Out in Barcelona? Knowing what to wear in Barcelona can help you better enjoy your experience there. While you may want to follow the fashion trends of the city, the most important consideration to make when you’re going out in Barcelona is to dress for the weather. Because Barcelona has distinct seasons, it’s important that your clothing is suitable to the current climate. You may be surprised to find out that the clothing you’re wearing from your home countries is unsuitable for Barcelona’s weather. Because Barcelona features relatively warm summer months, even light jeans and other long clothing from your native country may prove to be too hot. You may find that these same clothes would be better suited to wear during the winter time in Barcelona. Barcelona’s coldest months are December, January, and February, so it’s important to make sure that you’re dressing warm. Though it may not get too cold, be sure to pack at least one light and heavy jacket. During spring and summer, you can start to wear lighter clothes as you go out. Many in Barcelona prefer light jeans and pale colors during the summer months, and these can prove fashionable no matter the occasion. It’s important to keep in mind that if you’re going to go anywhere upscale in the city, you may want to dress the part. If you plan to dine at a fancy restaurant, for instance, show up in more formal wear. In fact, it’s probably best that you avoid wearing shorts and ultra-casual clothes entirely while walking through the city. When it comes about the dress code for Barcelona nightlife, you need to know that for most of them you don’t need to dress up too fancy. Don’t wear sneakers, if possible wear dark shoes not white one, and definitely don’t wear shorts or flip-flops. Tank tops for guys are not seen well neither. Some of the more elite clubs on the beachfront has more strict dress code rules, the guys will need to wear collared shirt, dress shoes, you can wear jeans and the girls must wear elegant dresses, for club wear. If you’re not sure what to wear, or want to fit into the city’s fashion scene, consider purchasing some popular clothing items once there. By doing so, you can help keep others from judging you as a tourist and enjoy clothing that’s more suitable to the current weather. Where Can I Go at Night in Barcelona? Barcelona is truly a city that never sleeps. With some of the best Barcelona clubs and bars not just in Spain but in all of Europe, this city has become a mecca of wild and exciting nightlife. Because of this, there are several great places to visit at night while in the city. From local bars to wild nightclubs, there’s always something to do after the sun goes down. 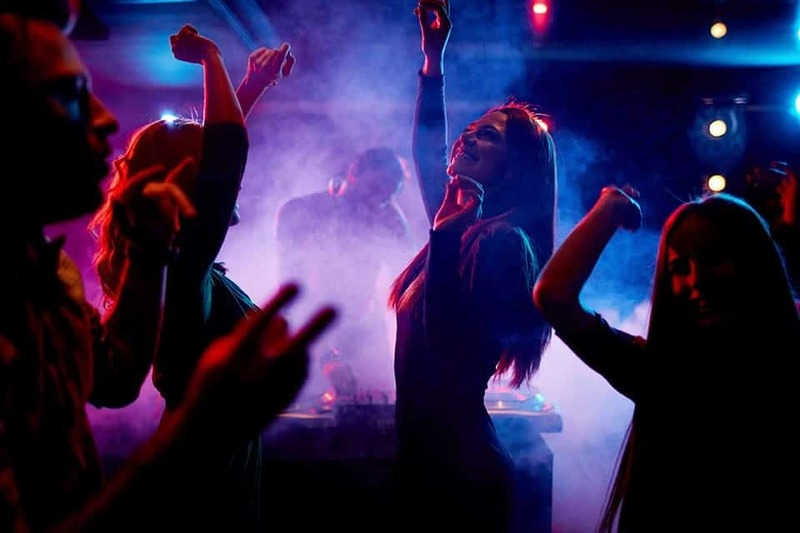 You never have to worry about being alone at night; instead, hop on over to one of the city’s famed nightclubs to enjoy the exciting nightlife in Barcelona. Consider checking out the following great nightclubs in Barcelona. We’ve mentioned them already, but here’s a little extra information to help you know where to go. Located in Port Olimpic, Club Pacha Barcelona features some of the best music in the city. With several international artists coming to Pacha Barcelona, this great club is the place to be for a one-of-a-kind musical experience. La Terrazza offers one of the world’s most unique clubbing experience. This outdoor venue is located on a mountaintop castle—making it the perfect place to spend a night of fun. One of the best underground nightclubs in all of Europe, Sala Apolo features great live music that will keep you and all your friends dancing for hours. With great prices, you don’t have to worry about breaking your wallet. Restaurant by day, club by night, this beachside party venue has everything you need to have the day—and the night—of your life. Another great underground venue, Moog is located in Barcelona’s Gothic quarter. With some of the best music and drinks in the city, Moog is the place to be for those looking EDM fun. With some of the best hip-hop songs and DJs on tap, Jamboree Dance Club offers one of the city’s best parties every day of the week. Club Otto Zutz provides an authentic Barcelona nightclub experience. 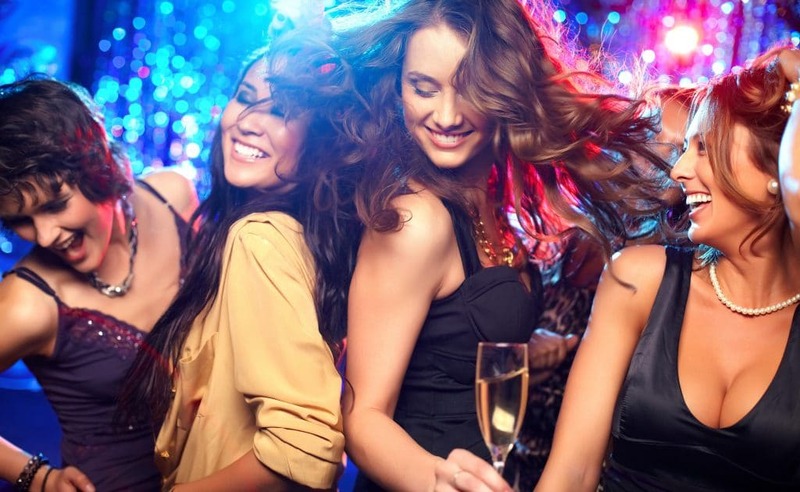 With great drinks and music, you can’t go wrong by choosing this popular nightclub. You can check some of the Barcelona stag do bars here. 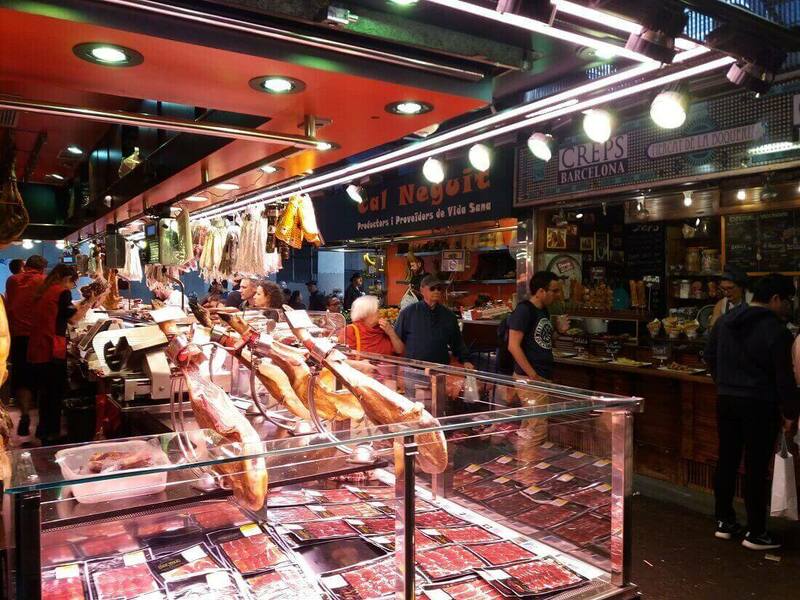 Is Food Expensive in Barcelona? Make sure that you have room in your budget for food when traveling to Barcelona. The good new is that because the city has plenty of cheap options, you can eat well on a budget. This means that you have more money to spend doing other, more-fun things. So how much does it cost to eat in Barcelona? Well, the answer really depends. Like anywhere else in the world, it’s cheaper to buy groceries and cook for yourself, but this likely isn’t an option. Though you may be able to secure a hotel that has some kind of kitchenette, chances are that you’ll be eating out for most of your meals. And because this is the case, you’re going to need to know where to buy food so that you can stay within your budget. With that in mind, it’s worth noting that local restaurants in Barcelona are likely going to be much cheaper than ones geared towards tourists. If you’re looking to save money, you can do so by indulging in the delicious local cuisine. International favorites and high-end restaurants are going to run you more money, so be sure to keep this in mind. Also, make sure to note that the average prices we list will refer to eating for one person, unless otherwise specified. If you have larger groups, be sure to adjust the price accordingly. On average, you can expect to spend anywhere from €3-€10 per meal. You may also be able to find meals for your family that range closer to €15, depending on how many people you have. Best of all, if you stay in a big-name hotel, it’s likely that you will have a good continental breakfast included with the price of your room. If so, make sure to take advantage of it so you can eat for cheap. Overall, the cost of food is not expensive in Barcelona. Just make sure to plan to eat out a lot and leave room for it in your budget. How Much Does It Cost to Vacation in Barcelona? Vacationing in Barcelona doesn’t have to be expensive. However, it’s important to note that depending on what you do, you can see the cost of your trip soar. You can check some ideas of what to do in Barcelona here. There are several factors that go into determining the cost of your vacation, so let’s examine them in turn to give you a better idea of what to expect. The most expensive part of your trip will likely be your flight ticket. Depending on how many people you have, the cost of your ticket can quickly add up. It also depends on from where you’re traveling. Those in nearby European countries won’t have to pay quite as much, but citizens in the US and Canada can expect to pay a hefty price per person. Currently, for instance, flights from the US to Barcelona average right at 500 € per person. If you’re wondering how much a flight would cost from your home country or nearby airport, browse through different travel sites to get a good estimate. Momondo and Priceline generally offer some of the cheapest airfare options. The next important item on our list is lodging. There are several affordable hotels in Barcelona, but some of the better ones can run upwards of 200 € a night. Others, such as Aparthotel Silver in the Gracia district, are cheaper at $79. Search around for availability options to find the most cost-effective room for your trip. As noted, food in Barcelona isn’t expensive. Just make sure that you’re not overspending your budget by eating out every day. The amount of money you spend on Barcelona attractions will likely depend on the activities you do. While there are several free activities—such as Park Guell—others will cost money. Depending on how many people you have in your party, this can add up. It goes without saying that the longer you stay, the more you pay. In total, it’s hard to estimate just how much money you need to vacation here. If you’re traveling alone, 2000 – 5000 € should be more than enough to allow you to vacation comfortably for a period of one or two weeks. By planning your budget accordingly, you can better enjoy all the city has to offer. The night clubs and nightlife Barcelona is one of the very best in Europe, actually you could even go as far to say the whole world! There is just so much going on in this city that we could literally write a whole book about all the different things you can get up to here. This is not a city like London or Berlin. These places have a very distinctive kind of style and you know where you are at all times. This city though is different it has all kinds of different areas and going on an epic pub crawl in Barcelona can be the stuff of legend as you never know where you will end up. If you are visiting the city at the beginning of the summer you don’t want to miss the Feast of Sant Joan in Barcelona. Of course we can help you out a lot by suggesting some of the best night clubs and bars that our city has. The reason for this is that first of all, we know how to take advantage of the city check out our guide, Barcelona nightlife tips and find out what is all about. The reason we are able to suggest all the coolest, best and most fun places for you and your buddies to go is that we have been to them! 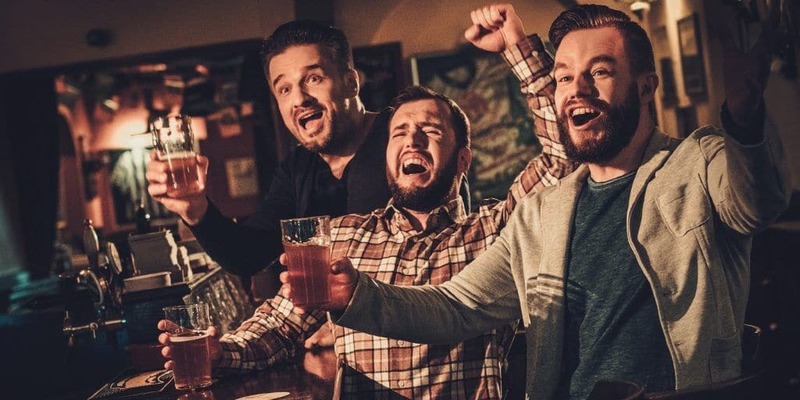 If you tell us what kind of guys you are then we are going to be able to suggest some ideal places for your group to go. You guys are not going to have to just wander around aimlessly, we can give you some great hints and ideas of pubs and clubs for you to go and have a few beers in. Honestly words really do not do a Barcelona pub crawl or just a general night out in Barcelona justice. There is so much to see, so much to do that by the time the sun comes up, you are going to wish it was dark again so you can go and check out even more places! We honestly feel that this city is one of the most underrated ones in Europe when it comes to night clubs and nightlife Barcelona, we have yet to hear from a group of guys who have not had the time of their lives here!